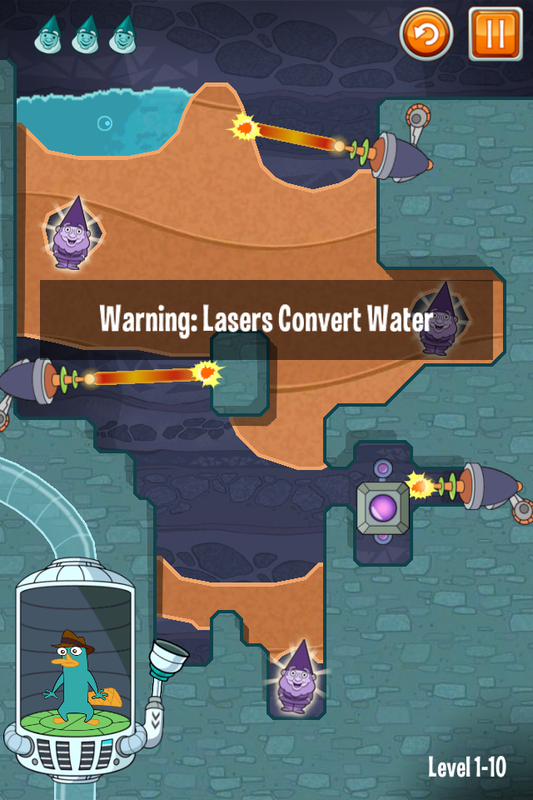 Where’s My Perry, developed by Disney, is a physics-based puzzle game which is very fun and entertaining. The game has received over 11,000 ratings in the app store, giving it 4 1/2 stars and making it the #1 paid app in the App Store. 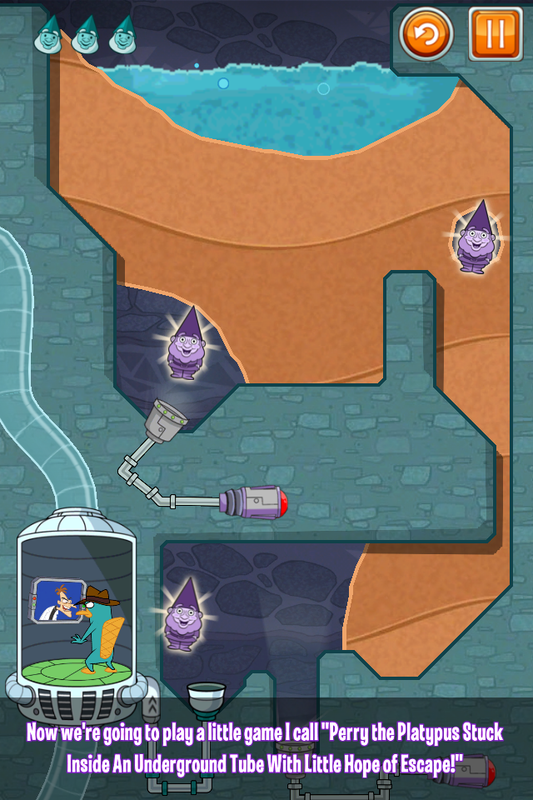 Perry (Agent P), the platypus from Phineas and Ferb, needs your help to navigate through underground transportation tubes to help him receive a mission briefing from Major Monogram. 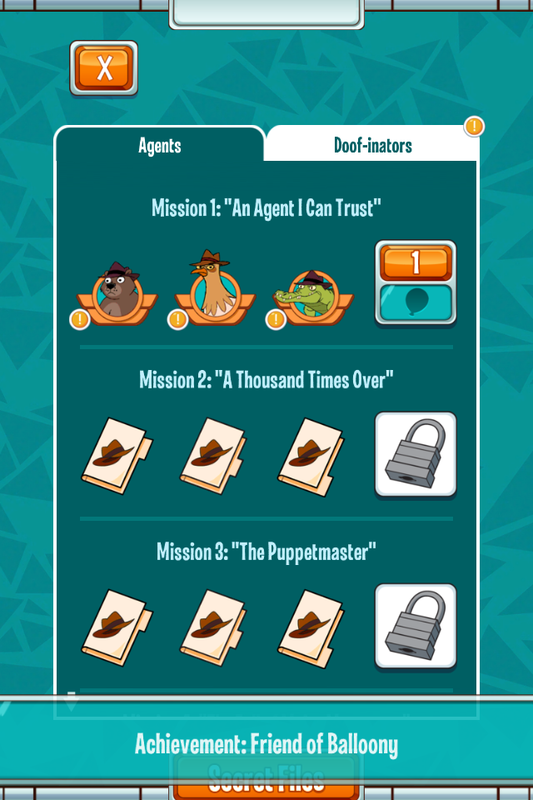 With over 80 different puzzles split across four storyline chapters, Where’s My Perry will have you digging double-time to combat obstacles placed by the evil Dr. Doofenshmirtz. Water, in all its forms, is your ally in Where’s My Perry. 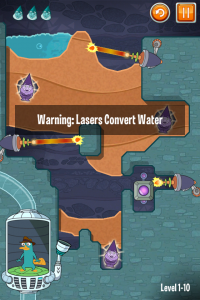 Whether it’s turning liquid to steam via lasers (Heat-inators) or using the Cool-inator to change water to ice (or steam to liquid), you must use every method possible to complete each stage. 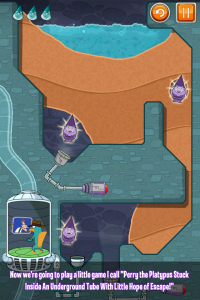 Where’s My Perry features an added twist – collecting gnomes and other items within levels to unlock bonus features. Also, you can earn Game Center achievements. 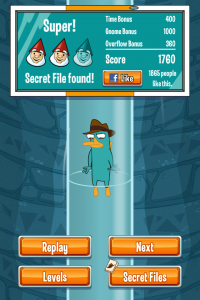 One interesting thing I noticed about Where’s My Perry is that even the game’s main screen is interactive. This was an instant plus for me, as it usually indicates the developer’s deep attention to detail. This is evident throughout the game because you can interact with Perry during the levels by poking him and watching him react. Directions and hints for every level ensure you won’t be lost while trying to assist Agent P. The levels are very fun, and advanced ones require a lot of thought and trial/error. I learned very quickly that starting over was not out of the question, as I frequently had to do so if I couldn’t help Agent P move on. Where’s My Perry seems to be designed with both kids and adults in mind because it is easily playable for both. This is a great method of teaching children about physics and the various states of water. The game definitely has ongoing playability because you likely won’t get every gnome or bonus item the first time you play a level. Where’s My Perry is a game which you’re sure to love if you’re an iGamer. The extensiveness of the app and the developer’s frequent updates make this game worth every penny. If you’re still not sure, there’s also a free version of Where’s My Perry. 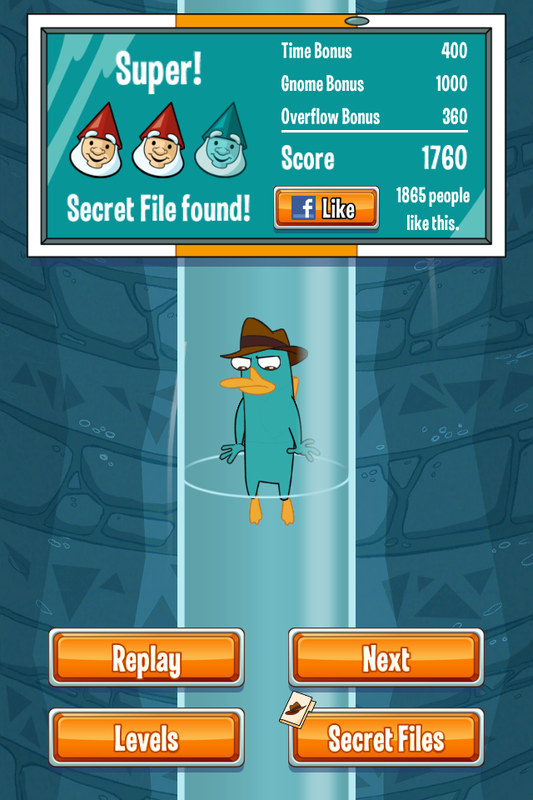 Where’s My Perry is compatible with iPhone, iPod touch, and iPad. Requires iOS 4.0 or later.